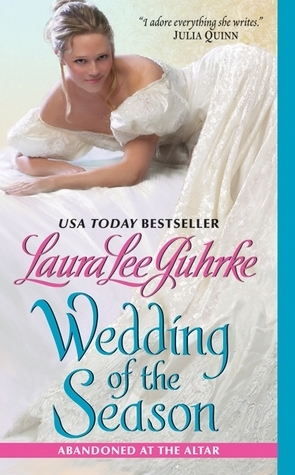 Please welcome today Laura Lee Guhrke who is not only author to many wonderful historical romance novels but also a girl after my own heart: she is just as a passionate fan of period movies as I am! Reading this post of Laura I couldn't stop nodding: I mean she mentions all my favourite period dramas (only one exception: she has left out North and South with Richard Armitage, if you are a big P&P fan and you haven't seen N&S, order it now, you will discover a new favourite! 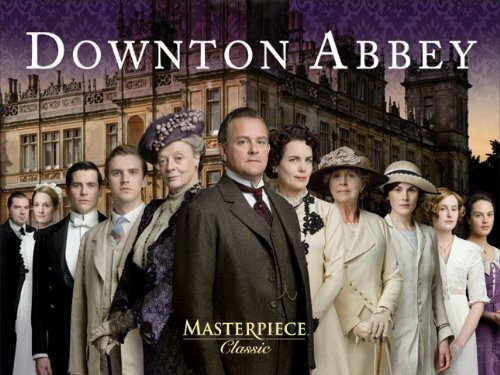 ), and I couldn't agree more with her: one of the best things about Downton Abbey (besides the great cast and the gorgeous location) is that it is a series and the story will go on and keep us entertained for seasons! But now I'll let Laura take over, and please do tell us about your own personal preferences. I have a confession to make. I love bonnet movies. I’d rather watch British period drama than anything else. Upstairs Downstairs is one of the main reasons I decided to start writing historical romance, and I’ve devoured every episode at least a dozen times. 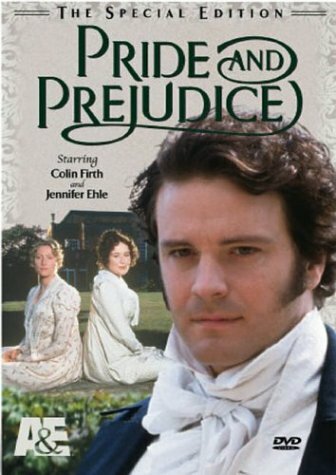 I’ve done the same with Pride & Prejudice, Wives and Daughters, The Buccaneers, Lark Rise to Candleford and countless others. I scour the PBS on-line store for new adaptions of Jane Eyre and Emma. I find bonnet movies wildly inspiring for my own work. Books are better for purposes of actual research, obviously, but there’s something about being able to actually see the costumes, the carriages and the country houses that helps me create my own fictional worlds. In my latest historical romance, Trouble at the Wedding, part of the story takes place on a luxurious ocean liner, and although books about the Titanic were useful to me, it was the movie that helped me see the staterooms and dining rooms of a turn of the century ocean liner in my mind as I wrote. But creative considerations aside, I also love bonnet movies for a much simpler reason: they’re just so darn good. My latest obsession is, of course, Downton Abbey, and I have to confess, it’s also my favorite, surpassing even my beloved Pride and Prejudice, partly because it’s set in the Edwardian era, which is my favorite time period, partly because it has the brilliant Maggie Smith, and partly because it’s a series, not a mini-series, which means there’s more to watch and more to love. How about you? Do you like bonnet movies? Or would you rather watch modern American shows like the Good Wife and House? Or perhaps it’s the sci-fi world of Doctor Who that makes you race for the tv? Or maybe you’re not that into television at all and would always prefer a book? Tell me what your favorite entertainment choices are and why, and you could win the first two books of my Abandoned at the Altar series, Wedding of the Season and Scandal of the Year. Laura Lee Guhrke spent seven years in advertising, had a successful catering business, and managed a construction company before she decided writing was more fun. From the publication of her first historical romance, Laura has received numerous honors and critical acclaim for her novels and her writing style, and her books have been seen on both the USA Today and New York Times Bestseller Lists. 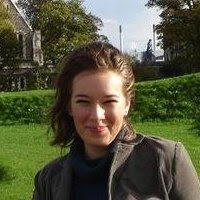 In addition, Laura has been honored with the most prestigious award of romance fiction, the Romance Writers of America RITA Award, and she has been a RITA finalist five times. Among her publishing credits are eighteen historical romances, including her latest for Avon Books, Trouble at the Wedding, the third book in her Abandoned at the Altar series. Laura is currently hard at work on her latest historical romance, but when she’s not writing, she can be found skiing the slopes, wakeboarding across the lakes, and fly fishing the streams of her beautiful home state of Idaho. Lady Beatrix Danbury had always known she would marry William Mallory. She'd loved him forever and she'd never doubted he loved her, too. But when she made him choose between their life together or his lifelong dream, Will chose the latter ... and left two weeks before their wedding. Will has no illusions that Beatrix would welcome him back with open arms, but six years did not dim his love or desire for her. The only problem is, she's about to marry someone else. Someone safe and predictable ... the complete opposite of Will. But can he stop the wedding of the season and win Beatrix back, or is it just too late? Laura has generously offered the first two books of her Abandoned at the Altar series, Wedding of the Season and Scandal of the Year to a lucky commentator! 2. leave a comment and answer Laura's question: Do you like bonnet movies? Or would you rather watch modern American shows like the Good Wife and House? Or perhaps it’s the sci-fi world of Doctor Who that makes you race for the tv? Or maybe you’re not that into television at all and would always prefer a book? Giveaway is open to US/Can residents and ends on 15 March 2012.